Born to nomadic parents and humble beginnings, Luke Richmond grew up running wild and free in the Australian outback. After finishing school, he joined the Australian Army and served his country overseas as a qualified infantry soldier – an experience that sparked in him an unrelenting desire for adventure. But when he leaves the army Luke finds himself broke and adrift in London, caught up in the soulless world of drug and alcohol addiction. When he wakes up in a police cell with no memory of how he got there, he knows he has hit rock bottom, and makes the snap decision to turn his life around. Within days he is in Thailand, training his mind and body at a Muay Thai boxing camp in the jungles of Phuket. In suffering Luke finds his salvation, and he decides to make the most out of life by seeking adventure in remote corners of the world. Since then Luke has climbed the highest mountains on six continents, set a new world record for ocean rowing across the Atlantic, battled -60 degree temperatures in the Antarctic, witnessed death at high altitude, was held captive in the humid jungles of West Papua and has thrown himself from cliffs in the adrenalin-fueled world of BASE jumping. 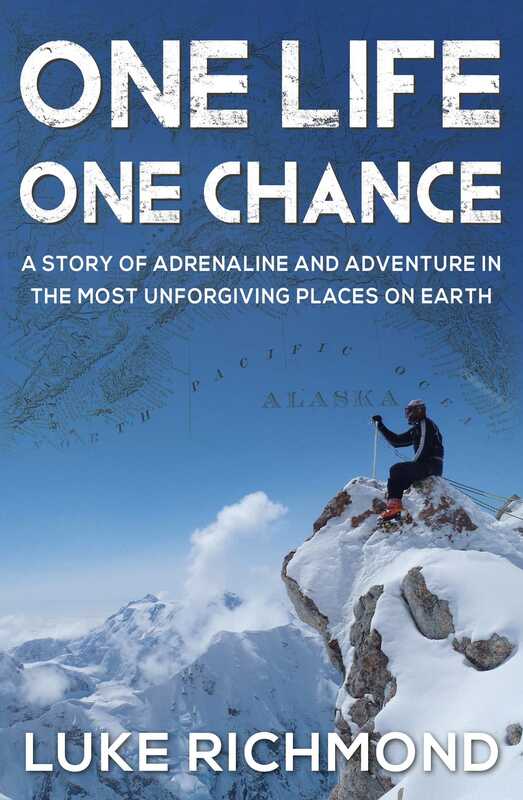 More than an awe-inspiring story of endurance and adventure, One Life One Chance will ultimately remind you that we only have one shot, so don’t waste a second of it.